Other Common Names: Common sorrel, cuckoo sorrel, English sorrel, garden sorrel, red sorrel, broadleaf sorrel, sour dock, Sauerampfer (German), oseille sauvage (French), acedera (Spanish), túnsúra (Icelandic), almindelig syre (Danish), niittysuolaheinä (Finnish), angssyra (Swedish), engsyre (Norwegian). 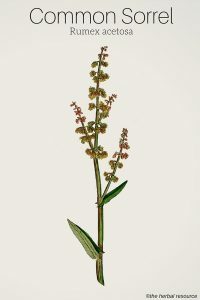 Habitat: Sorrel is one of the most common species belonging to the genus Rumex (docks and sorrels) and occurs naturally in Europe and temperate parts of Asia. The species is introduced in New Zealand and parts of North America. Sorrel can often be found growing wild in grasslands, in open forests, along roadsides and river banks. The plant prefers neutral or slightly acidic soil. Sorrel is often grown as a garden herb or vegetable. It is either propagated by seeds (sown directly at the growing location) or by root division of already established plants. The first leaves can be harvested about eight weeks after sowing. Plant Description: Sorrel is a herbaceous perennial plant, 30-90 cm tall with very variable appearance. The stems are reddish, hollow and branching at the top. The leaves are 2-3 times longer than they are wide and arrow-shaped (sagittate). The small green or reddish flowers form whorled spikes and bloom in early summer. The plants are dioecious, so male and female flowers sit on separate plants. The fruit is a triangular shiny nut. The leaves are often consumed by the larvae of several species belonging to the order of Lepidoptera (butterflies and moths) including the blood-vein moth (Timandra comae). Plant Parts Used: It is primarily the sorrel leaves that are used both as food and herbal medicine, but the roots and the seeds have also been used. The leaves can be dried and powdered for later use. Active Ingredients and Substances: The fresh leaves and the leaf juice contain oxalic acid and potassium bicarbonate (up to 1%), tartaric acid and vitamin C.
The rhizomes contain a hyperoside, quercetin-3-D-galactoside, anthracene, tannins (up to 25%) and anthraquinones. The anthraquinones (chrysophanol, physcion, and emodin anthrones) are responsible for the plant’s laxative effect. The acidity of the plant is due to both vitamin C and the content of oxalic acid and oxalates (mostly potassium hydrogen oxalate). Potassium hydrogen oxalate is toxic at high levels and has been the cause of sorrel poisoning both in humans and animals. The medicinal effect of sorrel was already known by the Greek physician, pharmacologist, and botanist Pedanius Dioscorides in the first century after Christ, and since then the herb has been featured in numerous literature concerning herbal medicine. Sorrel was used in the past for a wide range of ailments and was often the source of folklore and superstition. E.g. it was once believed that if the herb was worn as an amulet around the neck it could offer protection against goiter. It was thought that the herb could accelerate menstruation and dissolve kidney and bladder stones. Furthermore, the herb was regarded to be helpful for rickets in children, high fever, and for diseases related to the bladder, breast, liver, stomach, and kidneys. Externally, the fresh leaves or decoction made from them were also used as a compress on wounds (especially burns) and for various skin problems such as rashes, inflammations, and pimples. Additionally, the leaves were rubbed into the skin as an herbal treatment for scabies. The main use of the herb, however, was as an herbal remedy for scurvy, due to the high content of vitamin C in the leaves. It was also believed that sorrel could miraculously heal wounds in the mouth and reattach loose teeth. The often effective use of the herb in that regard was not that it possessed some extraordinary properties but because of its vitamin C content which counteracts scurvy, where one of the symptoms is that the teeth loosen. Both the roots and the aerial parts of sorrel can be used as herbal medicine but today it is mostly used medicinally in combination with other herbs and in specific herbal formulas. The sorrel leaves are regarded to have laxative and antipyretic properties and they can also be used to stimulate appetite and quench thirst. An extract of the leaves (25 g to one to ½ liter of boiling water) is used as a cooling drink for high fever. A decoction made from the roots has astringent, styptic, slightly laxative and diuretic properties. It can be helpful as a remedy for mouth sores, canker sores, boils, infected wounds, eczema, and acne. The decoction has also been used to treat diarrhea, constipation, and jaundice. 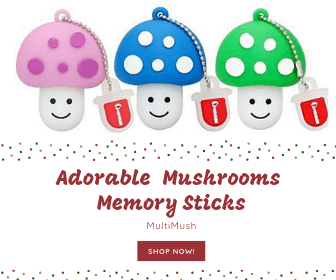 Both the root and seeds have been used to stop minor internal bleedings. All the plant parts of sorrel have a sour taste due to the oxalic acid and the herb can replace rhubarb in cooking. The sour taste is greatly reduced when the plant is boiled or dried. The leaves of sorrel can also be eaten fresh. The young succulent and green leaves have little taste in the spring but get sourer if allowed to grow into the summer. If the leaves are collected during a early spring, they can be used in salads, wrapped in butter, mashed with cream and butter or added to soups and sauces. If the leaves are blanched, most of the oxalic acid breaks down and the sour taste disappears. The leaves fit well in sauces for fish, chicken, and pork. The leaves can also be boiled in the same manner as spinach, but the boiling water should be changed once to reduce the sour taste. 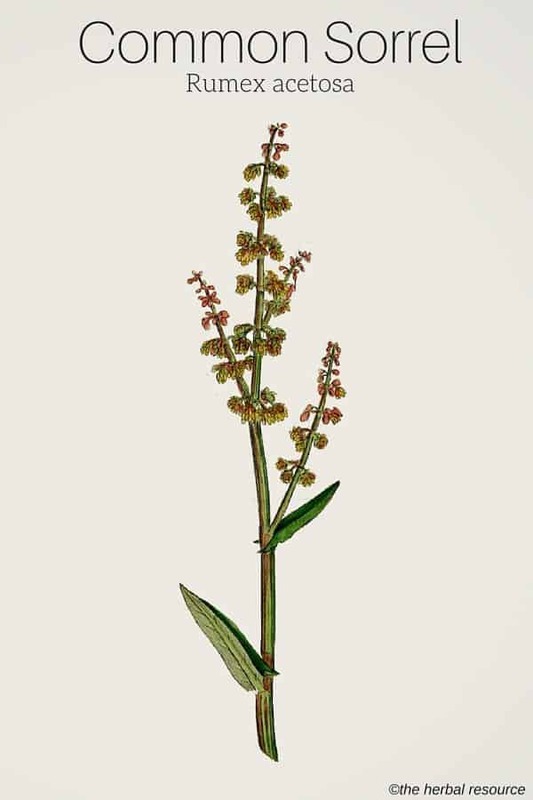 The southern European species French sorrel (Rumex scutatus), has a milder, lemon-like flavor, but at the same time a sharp aftertaste. In France, it is preferred over common sorrel in cooking. The sorrel seeds and flowers can be eaten, either fresh, boiled in soups or dried for later use. The seeds can be ground into a powder and mixed with ordinary flour. The roots can also be used in cooking, but they are very bitter if they are not first sliced and watered out. The juice of fresh sorrel leaves has been used to remove rust, mold and ink stains from linen, wood, wicker baskets and silverware. The plant has also been used for dyeing. The leaves yield a very fine olive-green color to woolen yarn, while the roots yield a bright yellow color. Information on the medicinal or therapeutic dosages for sorrel is lacking if taken alone. In small doses, sorrel is regarded as a safe herb. If the herb is intended for use as an herbal medicine a licensed herbalist or another qualified healthcare provider knowledgeable on medicinal herbs should be contacted prior to use. Sorrel contains high amounts of oxalic acid that can bind with the body’s calcium and form highly soluble calcium oxalate, which can lead to calcium deficiency in the body. Oxalates may precipitate in the kidneys to form kidney stones that can damage the kidneys and lead to urolithiasis seizures. A lethal dose of pure oxalic acid is believed to be between 5 and 13 grams (some sources say 15 to 30 grams). Consuming such amounts can lead to vomiting, diarrhea, kidney damage, convulsions, and possibly death due to cardiac arrest. Still, moderate consumption of sorrel is considered safe and if the leaves or other plant parts are soaked in hot water or lightly boiled the amount of oxalic acid is greatly reduced. Also if the leaves are eaten with milk, a lot of the oxalic acid will be defused. 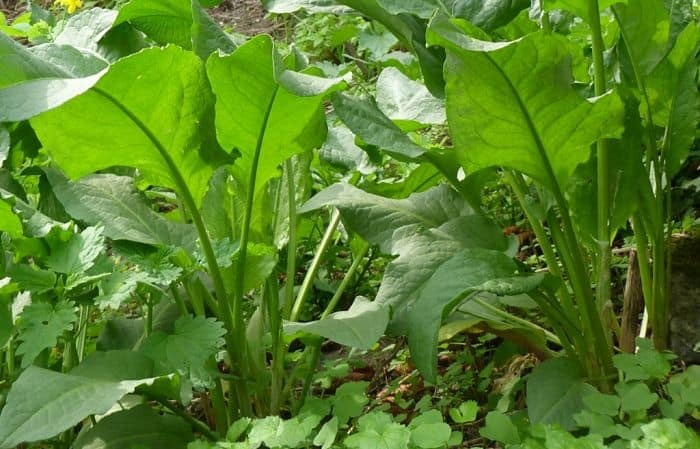 People with kidney problems, or are prone to rheumatism, arthritis, gout or too much stomach acid should refrain from eating fresh sorrel as ingesting the herb can exacerbate these conditions. Have watched animals eat sorrel, rabbits, tortoises, sheep, goats and wondered what benefit they get from choosing to eat it when other food is available. Sheep and goats go out of their way to eat sorrel in the spring when the grass is growing fast. Could it be that sorrel helps prevent scouring associated with new grass? Modern-day breeds of sheep are prone to scouring when turned out onto a flush of new grass! I keep traditional breeds of sheep, Portland and Manx, that tend to self-medicate on plants growing around them. Sorrel is a favorite of their’s in early spring!